Special Offer Special discount is offered to direct client(those who contract directly) from the above rate. 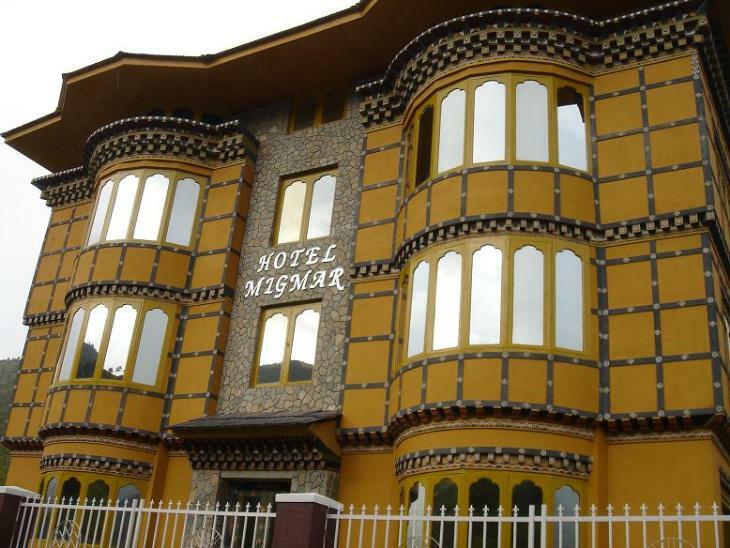 Arrive at Paro (2280 meters): You will be received by the Representative from Exotic Vacations Bhutan at the airport and drive to the Hotel. 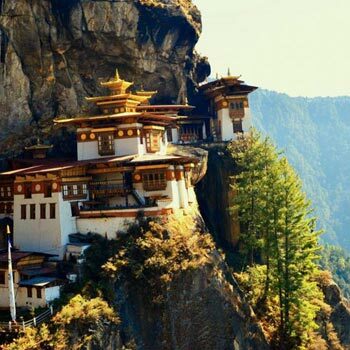 Paro Sightseeing – Thimphu: (Altitude 2320 m) After breakfast, Excursion to Taktsang Monastery: A short drive takes us to Satsam Chorten, the trail climbs through beautiful pine forest, many of the trees festooned with Spanish moss, and an occasional grove of fluttering prayer flags. We stop for a rest and light refreshments at the Taktsang Jakhang (cafeteria) and then walk a short distance until we see, clearly and seemingly within reach, Taktsang monastery. 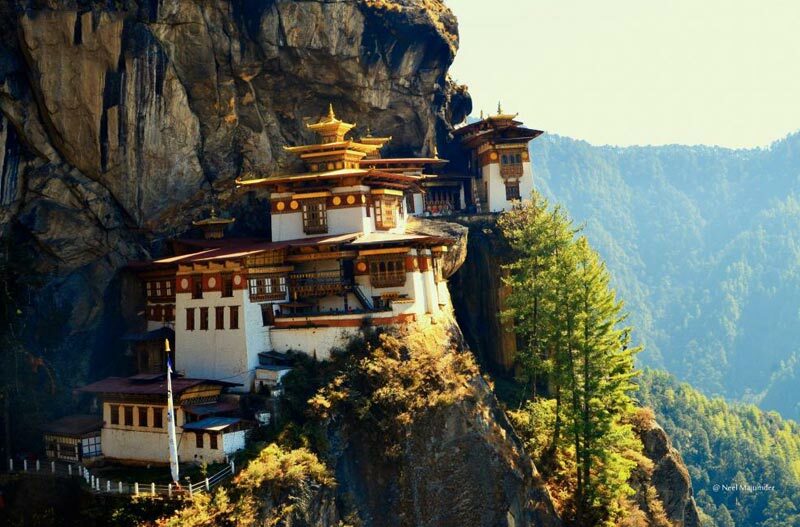 The primary Lhakhang was built around Guru Rimpoche’s meditation cave in 1684 by the Penlop of Paro, Gyaltse Tenzin Rabgay; this incredible monastery clings to the edge of a sheer rock cliff that plunges 900 meters into the valley below. Legend has it that Guru Padmasambhava, the Tantric mystic who brought Buddhism to Bhutan in 747 AD, flew here on the back of a flying tiger, Dorji Drolo, said to be his favourite consort. 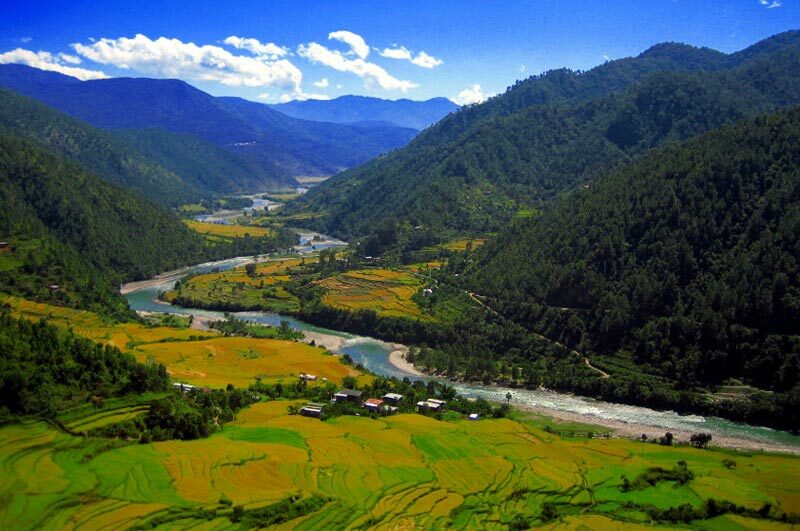 Thimphu – Punakha (1310 meters): (83 Kms, 3 hours drive). After breakfast, drive to Punakha via Dochula pass. If the weather is clear, we stop for a while at Dochula pass to view Higher Himalayas. Enroute stop a while to view Chimi Lhakhang also called the “Temple of Fertility” built by Lama Drukpa Kuenley who is popularly known as “The Devine Mad Man” in 15th century. Punakha – Limukha (Start of Trek): After passing the spectacular Punakha Dzong you cross the footbridge over the Pho Chhu and walk up to Shengana. The bridge to cross is the longest bridge in Bhutan. Climbing gradually through the forest you reach Limukha. Make sure you are carrying enough water as you won’t find any on the way to Limukha. 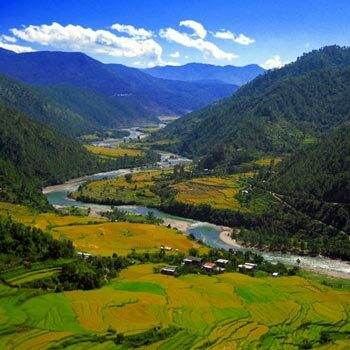 Limukha – Chhungsakha: The path leads through rhododendron and oak forests to Chhungsakha. Chungsakha is a small village with about 10 houses. A holy stone and an impressive Cyprus tree are reminders of Drukpa Kuenley, the “divine madman”. Chhungsakha – Samtengang: You walk downhill till you cross Pe Chhu. Climbing again you will pass the village of Sha on your way to Samtengang. Near the school in Samtengang you will see a small lake and your campsite is right next to it. 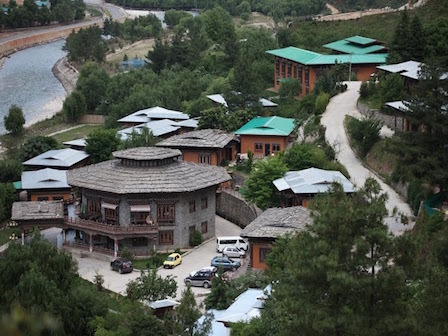 Samtengang – Teki Zampa – Thimphu: The trail leads steeply downhill on a treeless slope to the road head at Chhuzomsa and drive to Thimphu. Lunch will be served on the way. Dinner and overnight in Hotel. Thimphu sightseeing: After breakfast, visit the National Memorial Chorten, a monument dedicated to the Third King of Bhutan. His Late Majesty King, Jigme Dorji Wangchuck. The inside paintings and statues provide a very rare insight into Buddhist Philosophy. 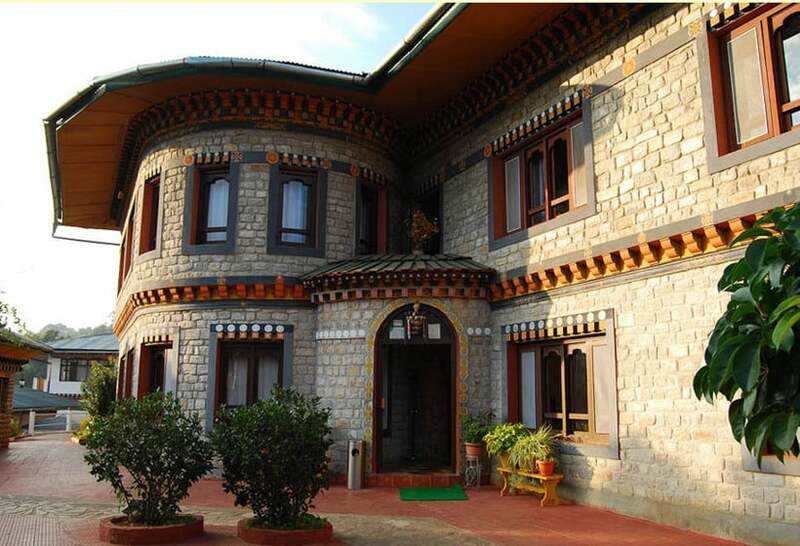 Then visit the National Library, which holds a vast collection of ancient Buddhist manuscripts followed by visit to Painting School, famous for carving and free hand art and Folk Heritage Museum. 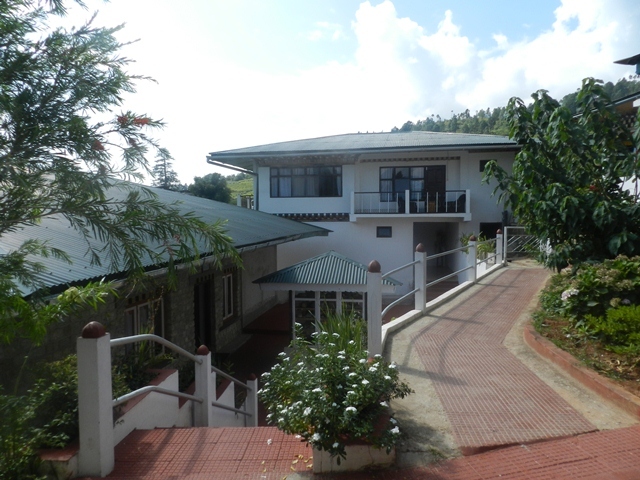 Then visit Sangay gang view point, Takin Preserve centre, Changangkha Monastery and Nunnery. 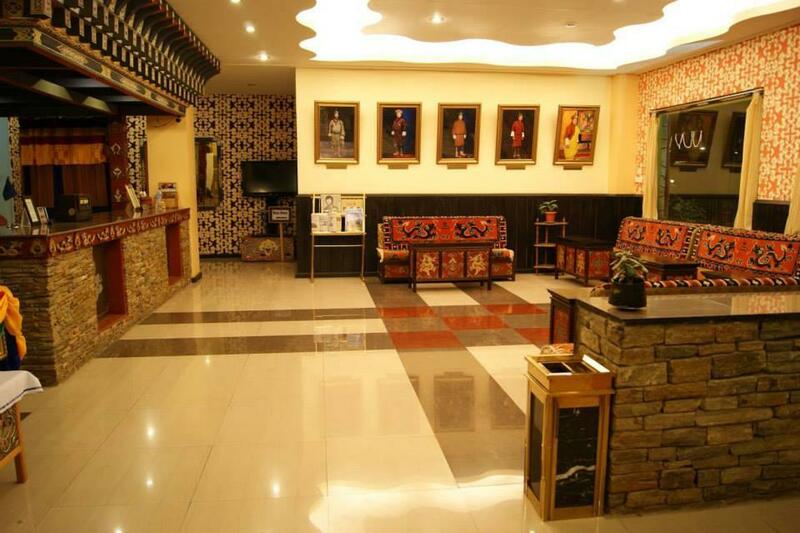 Thimphu – Paro: Departure: Early morning, drive to the Airport and Farewell. April and September to October. Off-season: January, February,March,May,June,July,August,November,December.